Finding the right essential oils for immune deficiency or just to boost your immune system can be difficult. Everyone’s body is a bit different, and some oils work better for one person while others are more effective for another person. We’ve created this list of our favorite essential oils for immunity, whether you need a boost, a daily regimen, or some seasonal help with your immune system. These are our favorite essential oils to boost your immune system. If there’s something that works well for you but isn’t on our list, let us know and we will check it out! There are many different blends out there created specifically to help boost immunity. 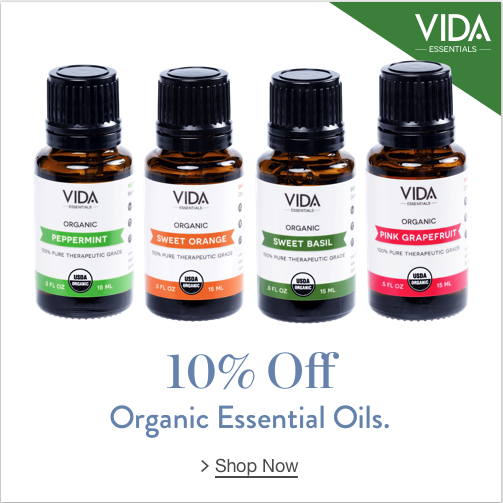 Our favorite is hands-down the Immunity Boost blend from Vida Essentials. It contains a mix of eucalyptus, clove bud, cinnamon bark, rosemary, and lemon. This essential oil belend can help guard against pollen, bacteria, and other season threats. In addition, it helps detox your system and aid digestion. If you’re looking for an essential oil as a regular immunity boost, this is the way to go! Lemon essential oil is a great single oil to use to help boost your immune system. Lemon is one of the most detoxifying essential oils, and can help your body clear out the toxic buildup. In addition, lemon essential oil can be used as a cleaning aid. By diluting the oil and putting it in a spray bottle, you can create a cleaning agent that helps keep your immune system safe and working correctly. There are many different types of lemon essential oil out there. We recommend finding one that is for sure organic, as lemon essential oil is often ingested directly into the system and bloodstream. Peppermint is another fantastic oil to take care of your immune system. It can help with headaches, increase mental clarity, and give some energy. Peppermint can be used topically, but be sure to test it or dilute it as it can burn people with sensitive skin. You can also take peppermint oil internally to help detox the body. My favorite is putting a drop of peppermint oil in my tea at night! Lavender oil has many different uses. It can help relieve headaches, works well as an oil for meditation, and can help us sleep better. Because lavender is an extremely calming essential oil, it gives the mind and body a chance to reset. By using lavender essential oil, you can give your body the rest it needs and allow the immune system to re-energize. Studies show that rest and the immune system are intimately linked, so lavender is a powerful way to make sure your immune system is working efficiently. Ginger oil likewise has many benefits. It contains the constituents zingiberene and beta-phellandrene. Taking ginger oil helps the body with digestion, and process foods more effectively. When using ginger essential oil, your body can get the nutrients it needs to feed your immune system and give it the power and energy it needs to function correctly!